Celebrate at CMA! Enjoy Dia de los Muertos folk art throughout October along with programs below. Examine past memories and make new ones at CMA. Discover folk art and the tradition connected to the holiday with CMA Adjunct Folk Art Curator Michael Hall and Leticia Vazquez-Smith from Latino Arts for Humanity. Enjoy Latin American Jazz from Cuba to Brazil to Miami Salsa. 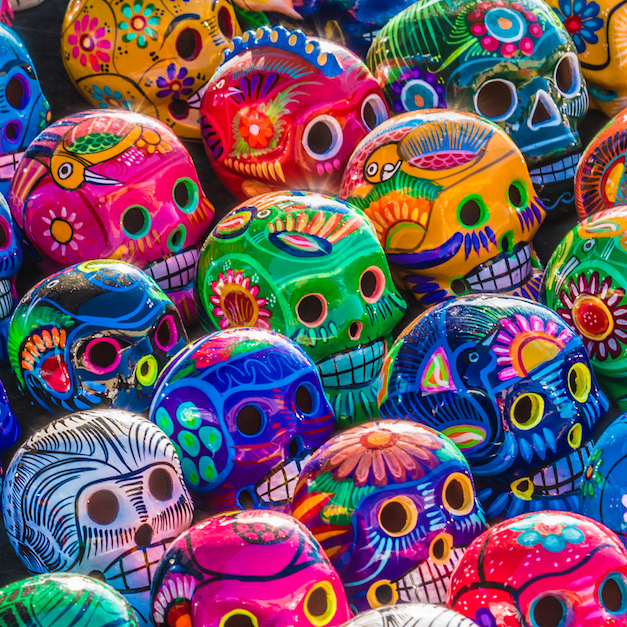 Find out how we honor death, memory, and the origins of Día de los Muertos. Celebrate your family at a breakfast complete with activities and a showing of the Pixar movie Coco. Celebrate with this family event with art, dance, food and live music. For more information visit Latino Arts for Humanity. Presented by Latino Arts for Humanity. Artist Renee Zamora, Latino Arts for Humanity, and CMA celebrate Day of the Dead. Design your own sugar skull. Make new friends playing loteria (Mexican bingo). Add to the ofrenda (Day of the Dead alter) in celebration of the lives of family members who have passed. Get your tarot cards read. Peruse the Las Primas Handmade pop-up shop. And enjoy craft cocktails, and dancing to the sounds by Al Son Del Iya.